It can be difficult to remain within the speeding limit, particularly when you have an emergency situation. Still, some motorists speed for no valid reason. Regardless of the reason for speeding, the result is often a speeding ticket. Once the police officer issues the ticket, the motorist usually is allowed to continue his journey. Thereafter, some individuals forget about the ticket or they become unsure of its status. Not paying your speeding ticket can result in your license being suspended; therefore, it is critical to stay current on the status. Check the citation (speeding ticket) for the court contact information. Upon issuing the citation, some police officers will show you where on the ticket to contact. You can also query in person or by mail to the address listed on the citation. Try to have the citation number handy–this makes it easier for the court representative to locate your record. Contact your state judicial branch if you do not have the citation with the court contact information. You can access the contact information for your state judicial branch online. If the judicial court is unable to give you your speeding ticket status, it can let you know specifically where to contact. Contact your local department of motor vehicles office. Request a copy of your driving record, which should list any previous guilty pleas, guilty charges and infractions. 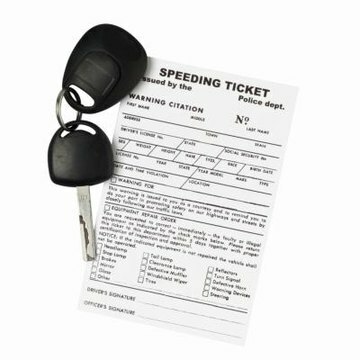 Generally, a dismissed speeding ticket does not appear on your driving record. Ferguson, Grace. "How to Check the Status of a Speeding Ticket." , https://legalbeagle.com/5882092-check-status-speeding-ticket.html. Accessed 21 April 2019. What Is a Traffic Warrant?